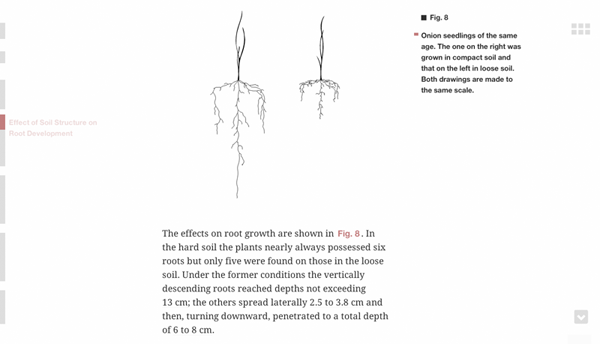 Open Roots makes an old book attractive and accessible again. This project is intended as a contribution to sustainability and and open education. 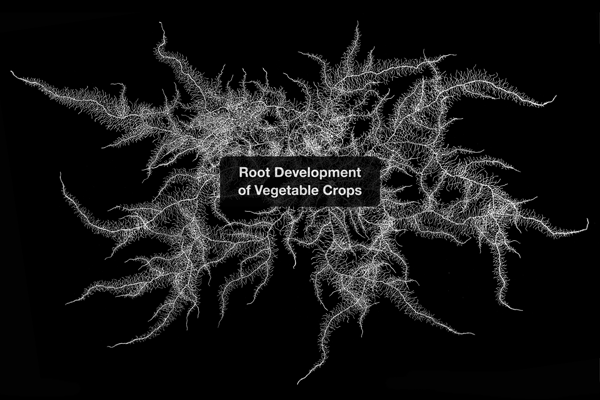 Root Development of Vegetable Crops was first published in the United States in 1927 and is in the public domain by now. In this their academic work, two scientists planted a variety of crops in specially prepared fields. They later carefully excavated them and illustrated the root growth. 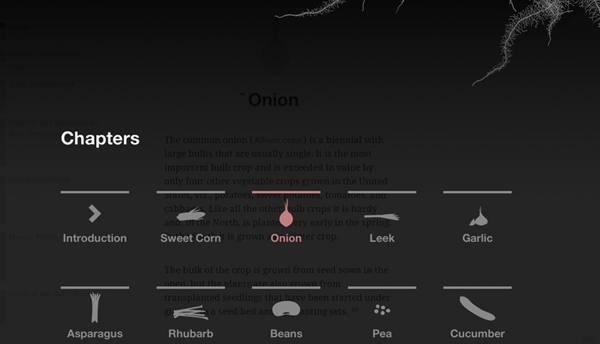 Open Roots transforms the book into a website in order to make it accessible to the masses. During the design process, special attention was paid to readability, interaction and orientation. The website features customized solutions for a better reading experience on a screen. 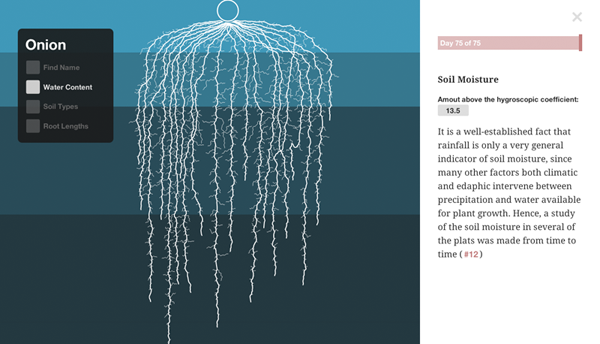 In order to make the data easier to understand, tables with test results were turned into interactive infographics and the static illustrations were digitized and animated. A demo can be viewed here.